Thank you for your email, I will get back to you soon! Reverend Harold Hendren became the third Senior Pastor of New Covenant in July 2011. Harold comes from a rich pastoral United Methodist tradition, as he is a third generation United Methodist pastor. He has been a member of the Florida Annual Conference since 1988. He served First UMC Miami for three years and did extensive work in their homeless ministry. He was appointed to First UMC Dunnellon and cast the vision for expanding their ministries. He spent the past fourteen years serving Faith UMC Boynton Beach where the church expanded its ministries in Worship, Evangelism, Children, Youth and Small Groups. Harold and his wife Donna have five children. Harold is responsible for “visioneering” (engineering visions) at New Covenant. He also offers leadership to the New Covenant staff and congregation, and develops spiritual formation through dynamic practical preaching that speaks the truth of Christ into our everyday lives. Thank you for your email, I will respond soon! Rev. Jim Divine has a passion for seeing people on the fringe of the church become deeply committed followers of Christ. Jim has been in ministry for over 27 years. During his first years in ministry, Jim and his wife Loida served as missionaries in Central Mexico, as part of a church planting team. Since that time, Jim has now spent over 20 years in the United Methodist Church serving in the Florida Annual Conference. 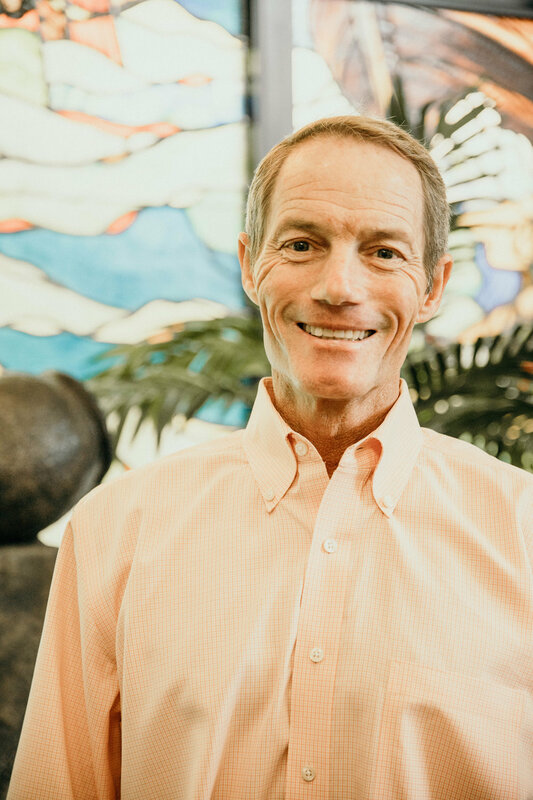 During his time within the Florida United Methodist Church Jim has worked for three years within an urban church, helping it work through a process of revisioning, and has launched two new ministries. The first of these ministries, The Coffee Pub, was launched in Tallahassee, Florida in 1994 as a non-traditional missional ministry geared primarily to reach college students and “mid-twenty-somethings.” Since 2013 Jim has worked as the campus pastor for New Covenant United Methodist Church, launching a new campus that has recently opened its first building and continues to experience rapid growth. Four and half years old, the Lake Deaton Campus is now averaging over 800 in weekly worship and is actively working to develop Fresh Expression ministries such as Dinner Church, Messy Church, Yoga and Bibles and Brew. Jim and his wife, Loida, are both Clergy in the Methodist church and they are blessed to have three adult children and three granddaughters. Reverend Kristyne Young has been on staff with New Covenant since 2009 For many of those years she worked as the Coordinator of Children and Family Ministries. During that time she started many new children’s ministries. Ministry highlights including BEACH, a Wednesday after-school program that provided a safe place for children to worship and fellowship together, and Teacher’s Kid’s Camp, a camp put on at the start and end of summer. This camp provides childcare for teacher’s children during pre- and post-planning days. In 2015 she transitioned to a new position at New Covenant UMC, Director of Congregational Life. In the spring of 2016 she graduated from Asbury Theological Seminary with her M.Div. and in June of 2016 she was commissioned as a Provisional Deacon at the Florida Annual Conference. Kristyne was ordained as a Deacon in Full Connection with the United Methodist Church in 2019 and now serves alongside the Lake Deaton Campus as the Pastor of Discipleship. She has a heart for developing and encouraging small groups and for connecting the congregation into the life of the church. Kristyne and her husband Toby have two daughters. Ellen was born and raised in Memphis Tennessee and lived there for 37 years, earning her BBA at University of Memphis, and working for a large corporation in Sales and Marketing. When she married her husband, Sean, they truly became ministry partners, as he has served at many large UMC’s in the Southeast. They have two wonderful 4 legged kids that have fur and wagging tails. Ellen accepted the call to full-time ministry in 2007 and decided to pursue the deacon ordination through the United Methodist church. She declared her candidacy while under the Arkansas Conference but transferred to the Florida Conference when they moved in 2014, to serve at New Covenant. Ellen graduated from Asbury Theological Seminary in early 2015 with a Masters in Christian Ministries which focused on the Deacon study requirements, as well as, Christian Education. From September 2014 until January 2019, she served in Congregational Care here at New Covenant. She currently serves as the Discipleship Pastor for the Summerhill campus. Ellen will be commissioned in June 2019 as a Provisional Deacon - an exciting fulfillment of her call to ministry.